Most professional musicians and performers rely on touring and performing in the European Union to make a living. Being able to travel is essential to keep a music career going. Being able to travel easily is equally important as gigs are often organised at short notice. 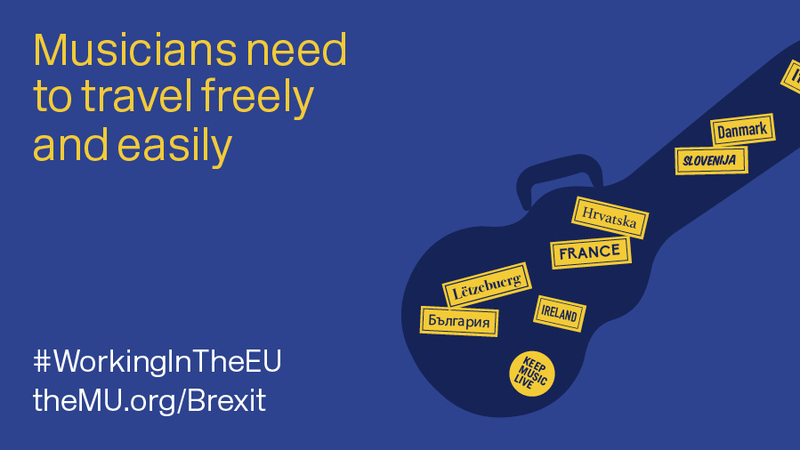 We need free movement to continue for musicians working in the EU, with minimum administrative burdens. Before the European Union, travelling in Europe was tough – it was expensive, heavy on the admin, and time-consuming. Musicians who’ve had to go through the visa process for the United States know how costly and confusing it can be. 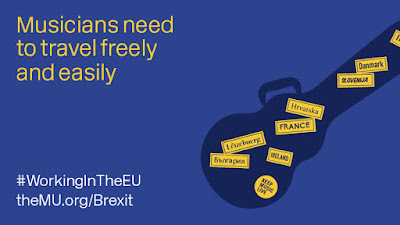 We don’t want musicians’ rights in the EU to go backwards, and we don’t want music in the EU – or the UK – to be restricted by unnecessary expense or bureaucratic burdens. “Music, and the performing arts more generally, rely on exchange of ideas and interaction between performers of different nationalities. Music flourishes in an open world with no borders — not a closed-off island that looks inward on itself” – MU General Secretary, and founder member of Darts, Horace Trubridge. Over 100 MPs and Peers have committed to protecting musicians’ right to move freely and easily in the European Union (EU) after Brexit. Let’s show the Government, MPs and Peers that they must support musicians working in the EU.